Time for Test Refusal Letters! Fall is nearly here! Soon the cooler weather and beautiful colors of fall will surround us, and with it, the start of school. The first tests arrive within the first two weeks of school, and so it’s a perfect time to complete your refusal letter. The testing craze has nearly taken over instruction in our schools. Let me restate. In OUR schools, a federal testing craze has taken over and has been accepted by our local schools. This started in the days of No Child Left Behind and has snowballed with some districts testing 7 to 8 and up to 14 standardized tests per year in our state of Minnesota. Our US Dept of Education is calling for daily testing through the online curriculum program titled, “ConnectEd”. Where will it end? Will it end on its own? Although parents were involved during the No Child Left Behind years there was not enough involvement to turn this around. We are already hearing parent statements about how much testing has gone on in three days of school and the anxiety it is causing their children in the early-start school districts, charters and online. Enter YOU and I for such a time as now! 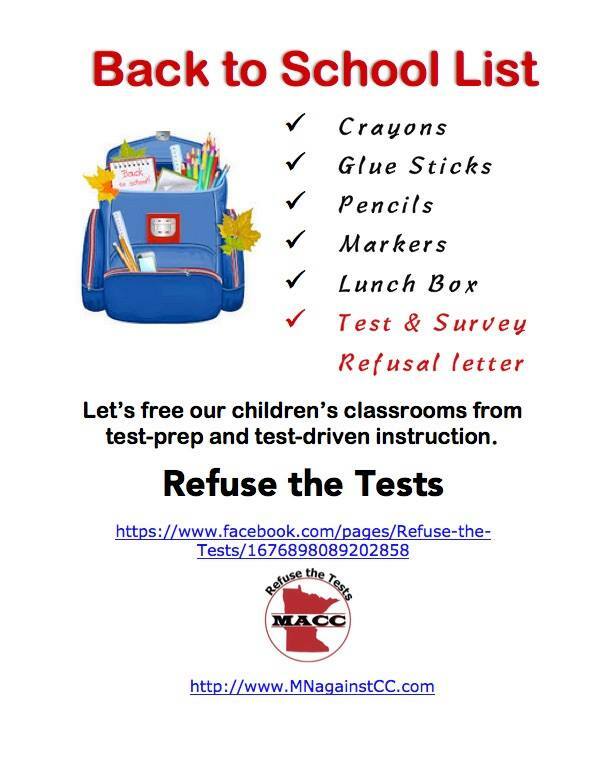 MACC and Refuse the Tests have three letter options. You can always write your own and be as formal or informal as you’d like. Please be sure to edit the letter with your name, email, your child’s name and other information. Sign and hand deliver to your principal, teacher(s), testing director and/or curriculum director. Test Refusal Letter #1 informs that your child will be refusing testing and surveys. Test Refusal Letter #2 informs that your child will be refusing testing, surveys and data collection, including biometric. Test Refusal Letter #3 informs that your child will be refusing testing, surveys, data collection and all online curriculum. Be sure to ask your principal for a textbook instead of online curriculum. 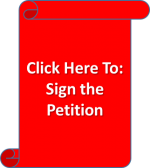 Don’t forget to read this article by Sarah Lahm and her interview with the Minnesota Department of Education on refusing the tests. The MDE states that testing is not tied to funding. This information is still very much valid. Previous PostSchool to Work or College and Career Ready: What Can Be Wrong with That?Next PostMinnesota Data Practices Commission Makes Its Debut!